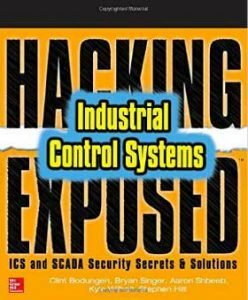 Download ICS Hacking Exposed (chapters 1 & 2). As IT and OT networks converge to support new business initiatives, we’re facing a larger attack surface and increased risk. Modern risks to Industrial Control Systems (ICS) include ransomware, disruption to production operations, and theft of corporate IP. To get you to up to speed on ICS/SCADA threat modeling, we’re giving away chapters 1 & 2 of this practical guide, recently published by McGraw-Hill. BONUS: Visit us at Black Hat to get your free copy of the entire 390-page book, signed in person by the lead author, Clint Bodungen (while supplies last). See details on Thank You page after completing the brief form. View author bios and purchase the entire book here. This content is a property of McGraw-Hill Education.